08 Sep 2018 - Without batteries, our world would be a very different place. For starters, there would be no mobile phones and we’d have to crank start our cars - how important this remarkable bit of technology to the lives we lead today. 07 Sep 2018 - MTA Institute would like to congratulate the 173 students who successfully completed their apprenticeship from January 1 to Jun 30, 2018. Graduating ceremonies will be held at MTA Institute twice a year with the next being in late February 2019. 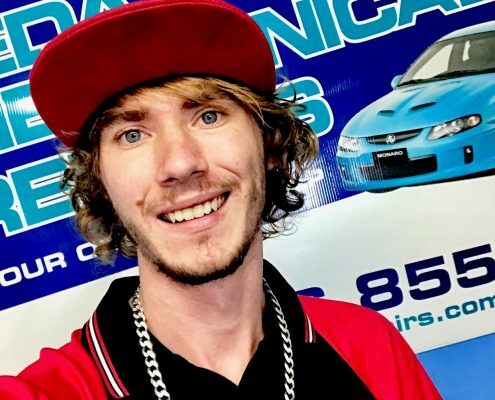 04 Sep 2018 - Zachariah williams-hook is the Apprentice of the Month for August 2018. 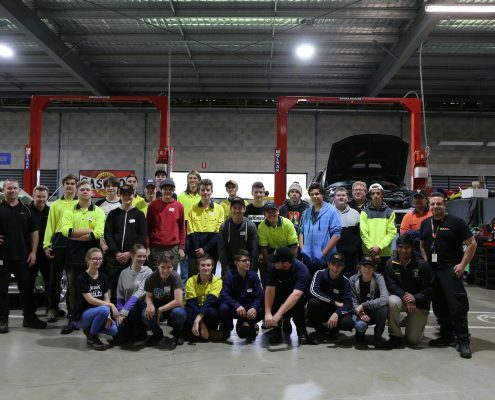 On Friday August 24th, MTA Institute trainers, students, families and friends came together to celebrate graduating apprentices who successfully completed their automotive qualifications. 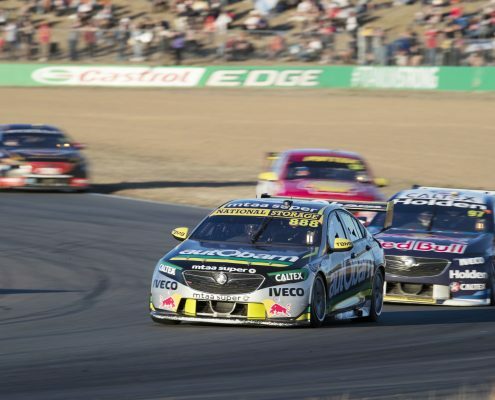 9 Aug 2018 - The relationship between MTA Queensland, corporate partner MTAA Super and Supercars heavyweight outfit Triple Eight Race Engineering continues to offer once-in-a-lifetime opportunities for apprentices and former apprentices of the MTA Institute. 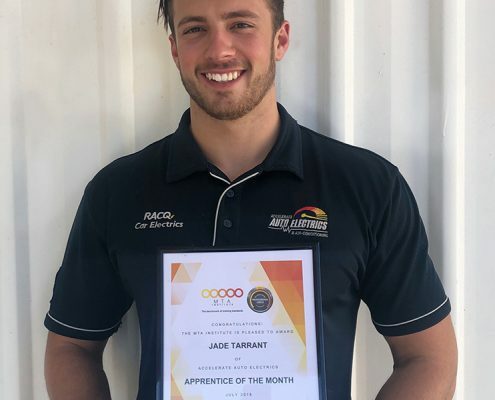 9 Aug 2018 - Jade Tarrant is the Apprentice of the Month for July 2018. 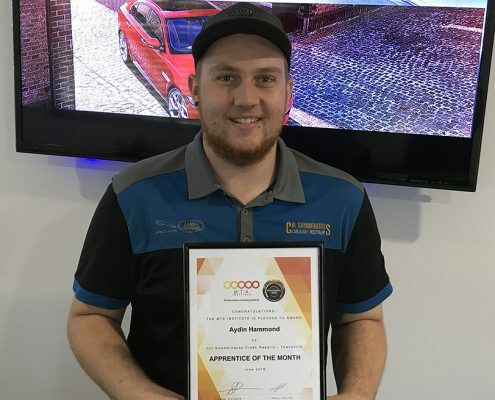 9 Aug 2018 - Aydin Hammond is the Apprentice of the Month for June 2018. 9 Aug 2018 - Through trade recognition, experienced and skilled workers receive a nationally-recognised trade qualification, and in return for a relatively small investment in time and money, the benefits are substantial. 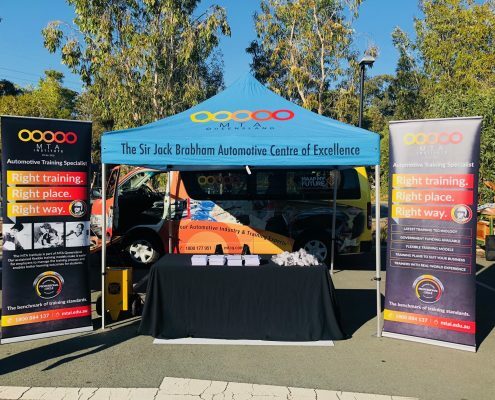 31 Jul 2018 - On Tuesday the 24th of July, MTA Institute attended the 2018 Ignite Youth Careers Expo held at Logan Metro Sports & Events Centre. 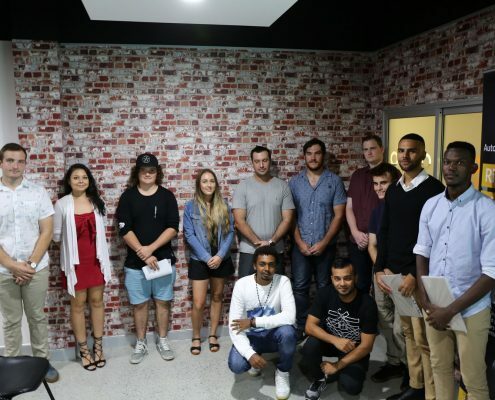 9 Jul 2018 - In the July school holidays, the MTA Institute started a new and exciting initiative. Auto Camp; a three-day course designed for high-school students aged between 14 to 17. 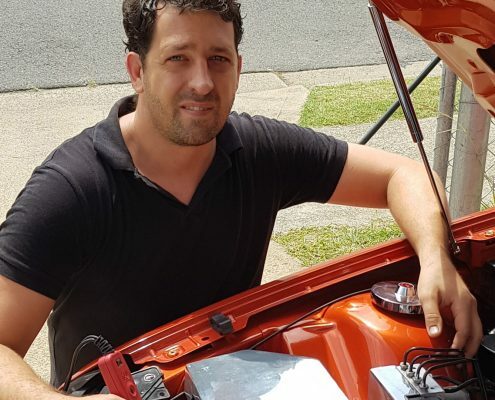 6 Jul 2018 - The MTA Institute, MTA Queensland’s Registered Training Organisation and the largest private provider of automotive apprenticeships and training in Queensland, has welcomed Queensland University of Technology’s (QUT) Professor Michael Milford to its Board. 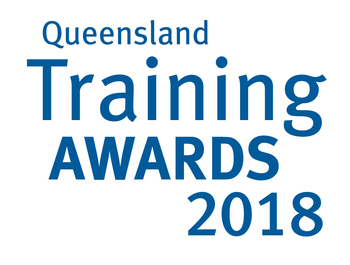 6 Jul 2018 - The MTA Institute has been named among the top five organisations in the Small Training Provider of the Year category for the 2018 Queensland Training Awards. 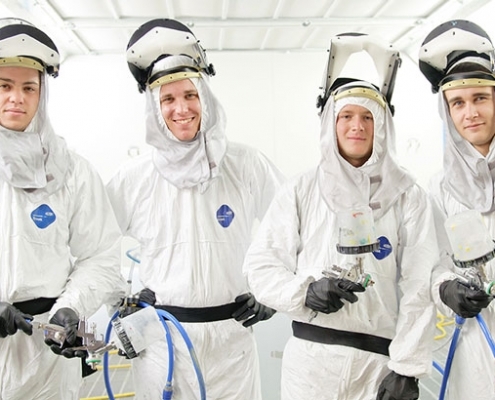 5 Jul 2018 - MTA Institute’s mid-year pre-apprenticeship course has concluded successfully with five of the nine students taking the Certificate II program securing apprenticeship placements with the other four set to soon follow them into the industry. 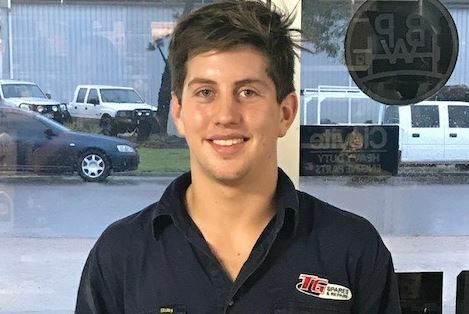 14 Jun 2018 - Mark Berry is the MTA Institute Apprentice of the Month for May 2018. 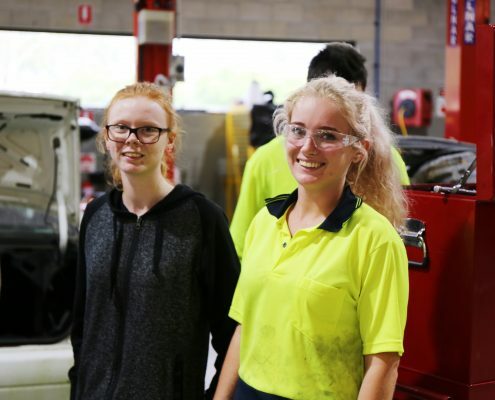 13 Jun 2018 - At the beginning of the year, the MTA Institute launched a new round of its pre-apprenticeship vocational preparation course, and the third group of students to take the course have been busy at work since mid-May. 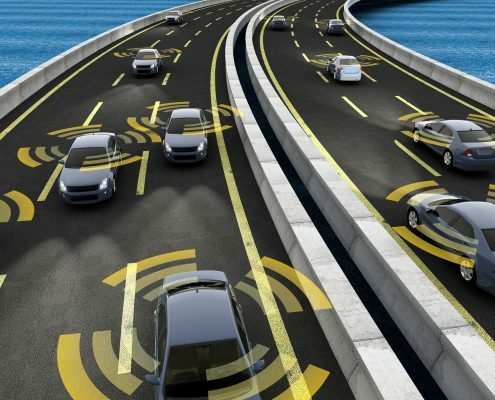 8 Jun 2018 - The Queensland Government has signed an agreement to deliver an Australian first – a new security system to help cars “talk” to each other safely and the MTA Institute is proud to announce its role on the project. 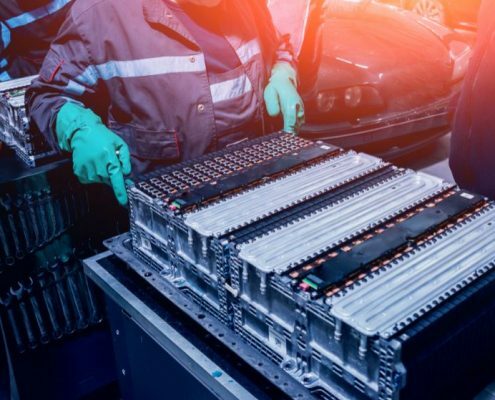 23 May 2018 - May has proven to be a very exciting month for the MTA Institute and with the announcement that the MTA Institute is now offering an accredited Hybrid/Electric Vehicle Course. 22 May 2018 - Did you complete training with us in 2017? If so, you may be invited to participate in Australia’s largest survey of VET students. 4 May 2018 - Scott Beadel is the Apprentice of the Month for April 2018. 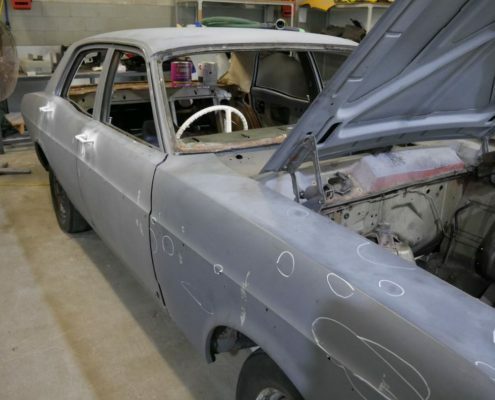 4 May 2018 - Not everyone can say they’ve been in the engine bay working on a V8 Supercar. 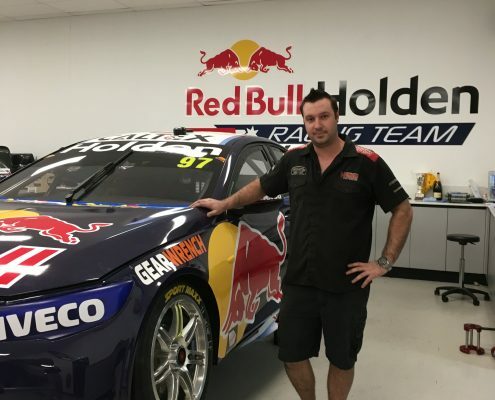 But the same can’t be said about Dane Turnbull who is completing a two-week work experience placement with Triple Eight Race Engineering. 26 Apr 2018 - The QOF Global Connections Bursary aims to assist early and mid career Queensland VET graduates, trainers and assessors to undertake short-term training, professional development and knowledge exchange opportunities abroad. 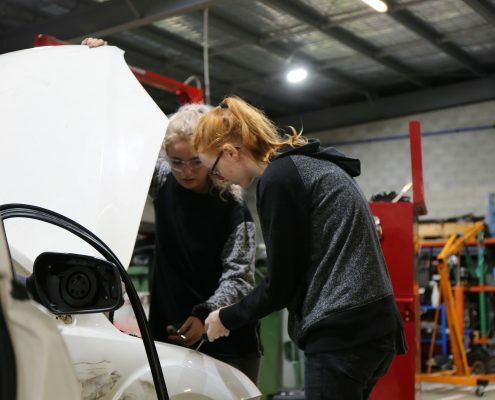 12 Apr 2018 - As the automotive industry continues its evolution through new technological advancements, it becomes ever more important to provide the training, programs and projects that assist and prepare those already in the industry, and those about to enter it, for the future. 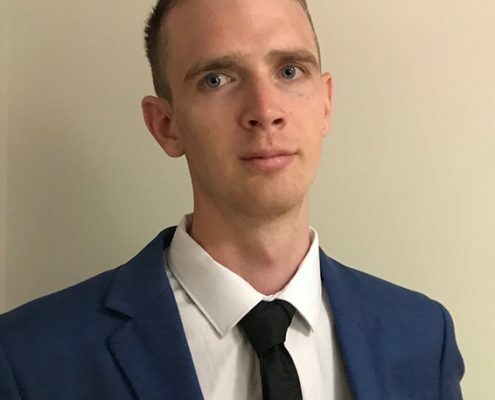 6 Apr 2018 - Francois Welman is the MTA Institute Apprentice of the Month for March 2018. 5 Apr 2018 - Getting some hands-on, real-life work while training for a career can be a priceless learning experience for any apprentice. 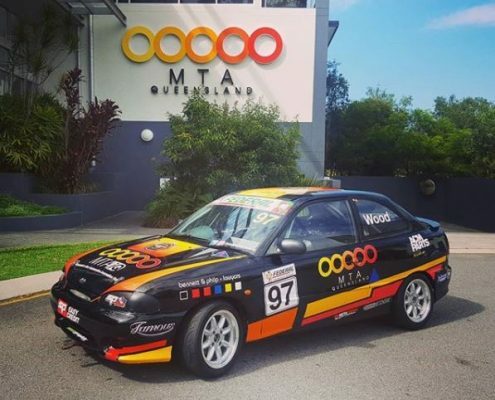 16 Mar 2018 - Queensland’s automotive peak industry body, the Motor Trades Association of Queensland (MTA Queensland) is excited for the MTAQ Racing Team to line up for the second year in a row in the fast and furious world of motorsport. 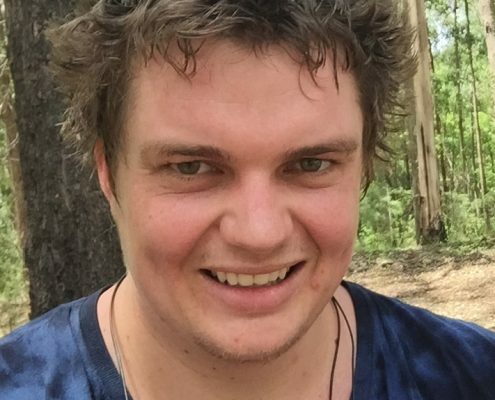 8 Mar 2018 - REED LENNOX IS the MTA Institute Apprentice of the Month for February 2018. 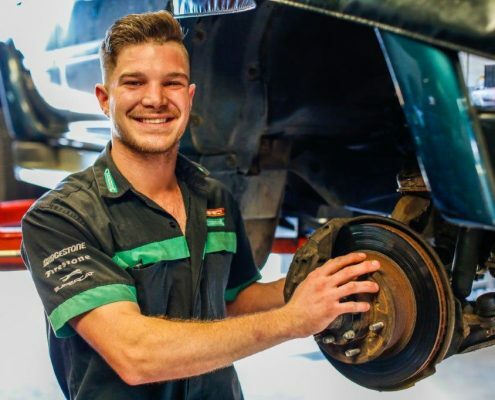 8 Mar 2018 - TIM WARD is the MTA Institute Apprentice of the Month for January. 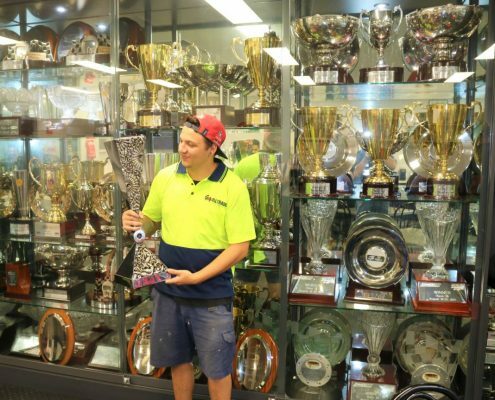 8 Mar 2018 - In February, Corby began a two-week work experience placement at Triple Eight Race Engineering in Banyo. 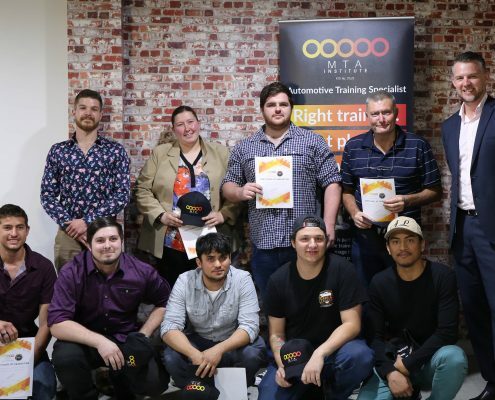 8 Mar 2018 - The MTA Institute held its first graduation ceremony in February, acknowledging the effort of apprentices who completed their studies between July and December 2017. APPLICATIONS NOW OPEN FOR THE 2018 CAPRICORN RISING STAR AWARD! 26 Feb 2018 - Nominate you star apprentice! 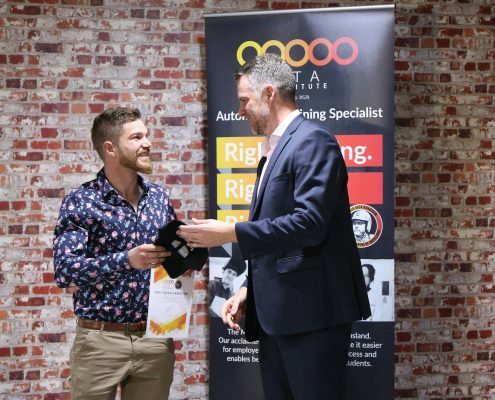 Capricorn Rising Stars is a new initiative enabling Capricorn Members recognise, reward and retain high performing apprentices.